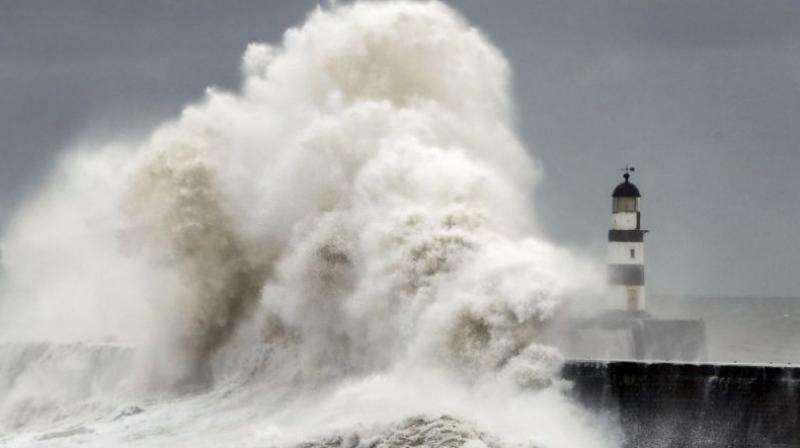 Gale-force winds battered France's southwestern Atlantic coast on Saturday (Feb 4), leaving more than quarter of million homes without power, the national electricity grid Enedis said. National weather agency Meteo France said winds reaching speeds of up to 160 kilometres per hour (100 miles per hour) had battered the coast and warned that in some places they could even reach higher than 160 kph. Three western regions were put on red alert as the storm felled trees and brought down powerlines, cutting off roads although there were no immediate reports of casualties. It said it had on Friday doubled its number of staff working in order to tackle the anticipated storm damage. Although the winds are expected to die down later in the day, another less powerful storm is expected to hit the western coastline on Sunday, forecasters said.